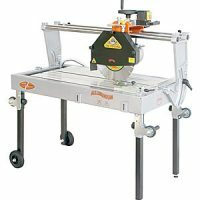 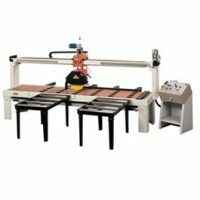 Mondial Manta bench saw, perfect for cutting tiles, kitchen worktops and stone sawing in general. 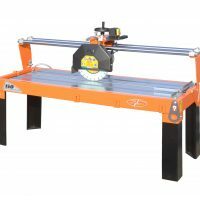 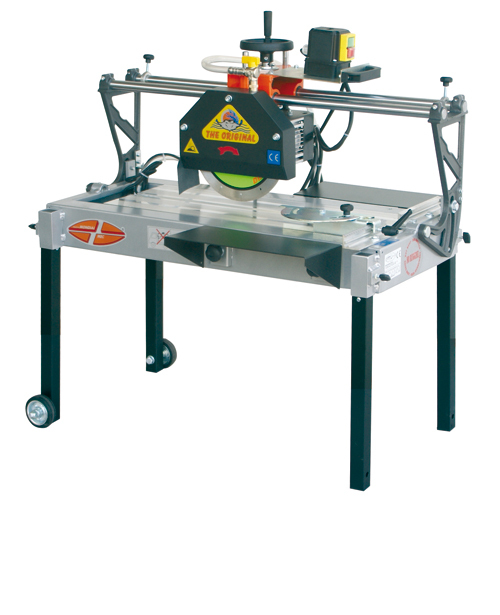 This is a light and versatile Aluminium machine with an extremely accurate cutting. 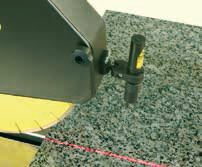 The head slides on two rectified chrome ground bars by means of linear ball-bearings. 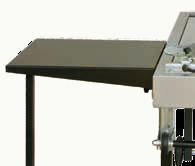 It is equipped with a submersible pump placed inside the base, which doubles as the water reservoir.